Here are several articles on this special Mustang which shares its pre-production heritage with the Mustang III Concept Show Car. The very first Ford Pilot Plant/Pre-production Mustang hardtop. This 1965 Mustang started the Pony Car revolution in American car building, resulting in the later creation of the Camaro and Firebird. It was hand-assembled at the Ford Pilot Plant and is one of three known existing Pilot Plant Mustangs to survive. This special Mustang has been restored to factory new specifications, with all major components having matching numbers. It is powered by a 170ci 6-cylinder engine mated to a 3-speed manual transmission. 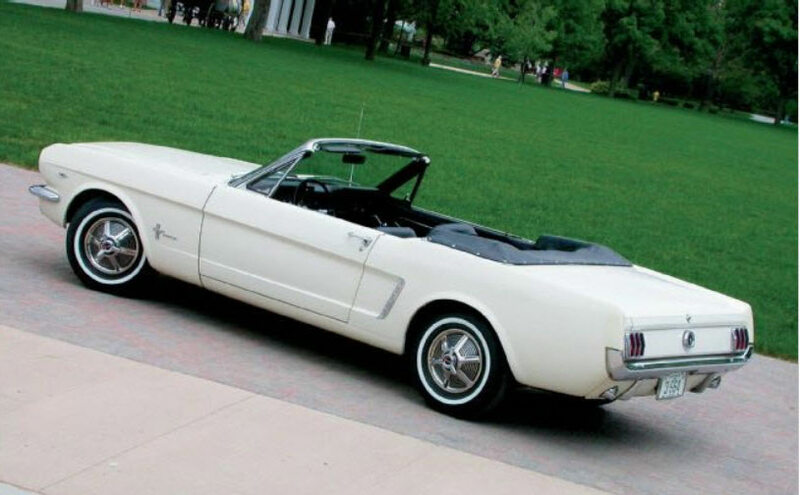 Included with the First Ford Mustang Hardtop is a set of two binders containing ownership and condition affidavits from all previous owners, along with photos, statements and signatures from high-profile originators of the Mustang, including Lee Iacocca, Hal Sperlich, Don Frey, Gale Halderman and others. The binders also include the vast provenance documentation confirming the entire history of the car, and complete restoration documentation in photograph, 35mm slide and video formats. A letter from Ford Motor Company confirming this Mustang as the first Mustang hardtop built is also included. Among its film and television appearances, this Mustang was used by 20th Century Fox Pictures in video shoots with Matt Damon (starring as Carroll Shelby) and Christian Bale in the up-coming full-length feature film “Ford v. Ferrari” (the true story of the battle between the two marques to win Le Mans in 1966), scheduled to open in the summer of 2019. 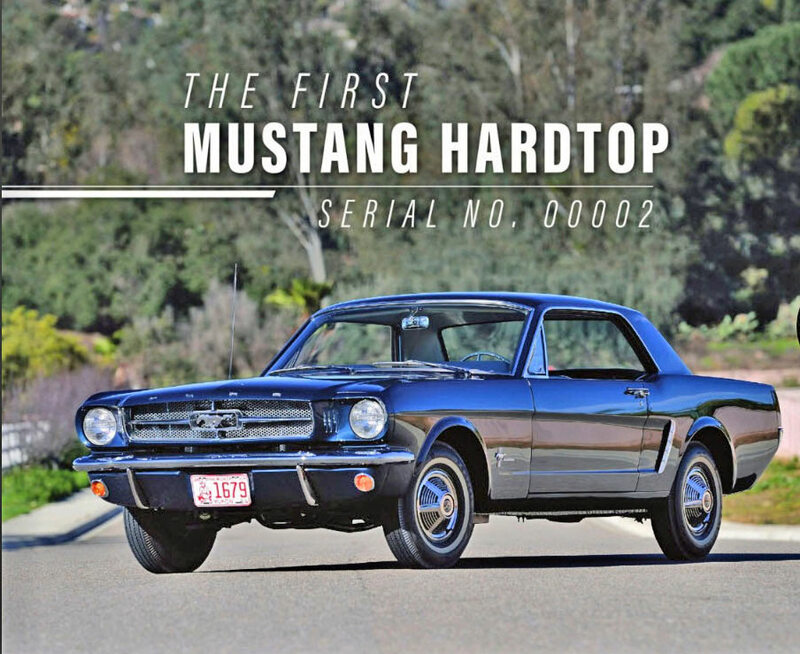 This hardtop is being sold after 20 years of ownership by a nationally known Mustang historian and author. 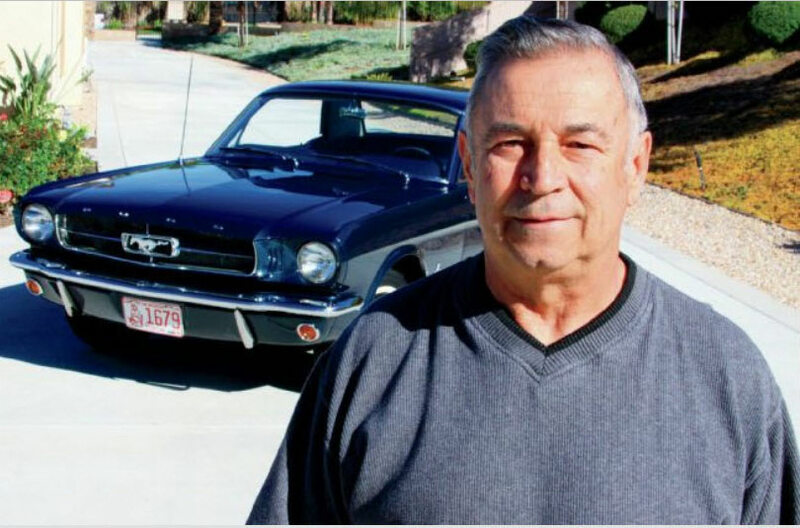 Retired airline pilot and automobile historian Bob Fria has spent years researching the development of early Mustangs including the 15 pre-production S-coded Mustangs built in the Allen Park Pilot Plant from August to December in 1963. -5S07U100015 Shipped to Dearborn Assembly Plant (DAP). Assigned VIN 5F07U10002. In the August 2015 issue of Mustang Monthly, Bob Fria documented that the Mustang III was the only known pre-production Mustang to survive today with a pilot plant S-VIN chasis. 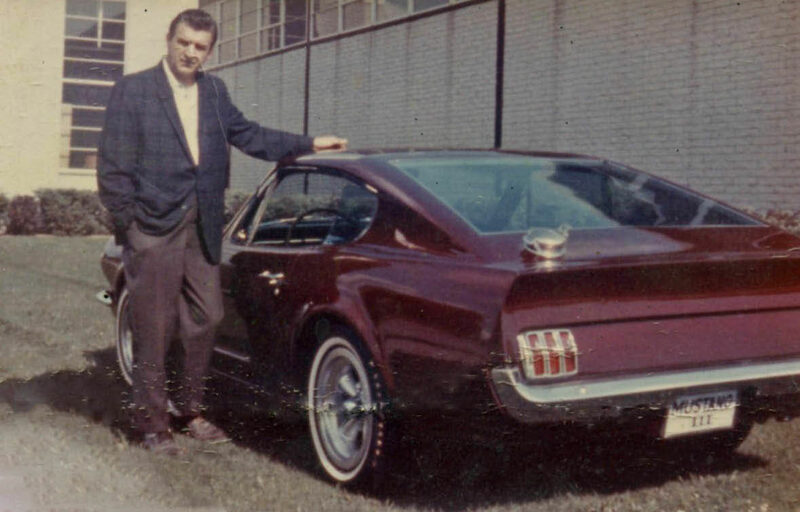 The earliest S- numbered pre-production Mustang (VIN #: 5S08F10009) was sent to Dearborn Steel Tubing to create the two-seater Mustang III Concept Show Car. 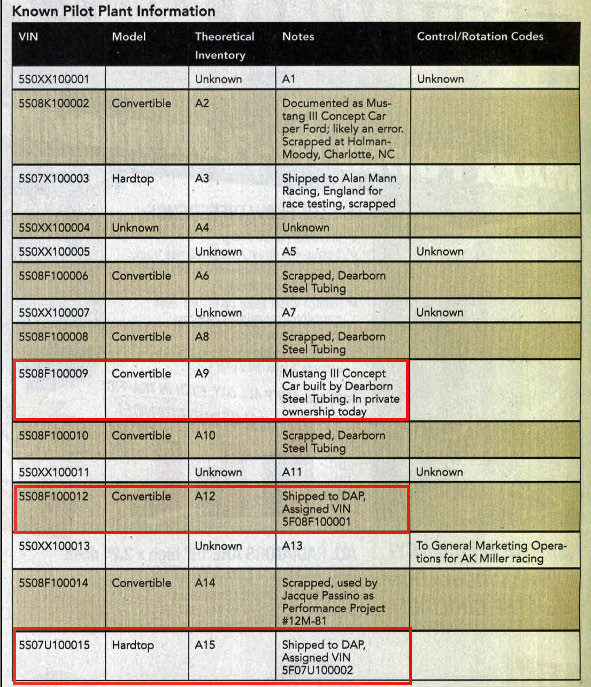 The other two known existing pre-production Mustangs were sent to Dearborn Assembly Plant (DAP). They were inserted into the Dearborn assembly line and became the first two Mustangs to receive DAP VIN numbers 5F08F10001 and 5F08F10002. 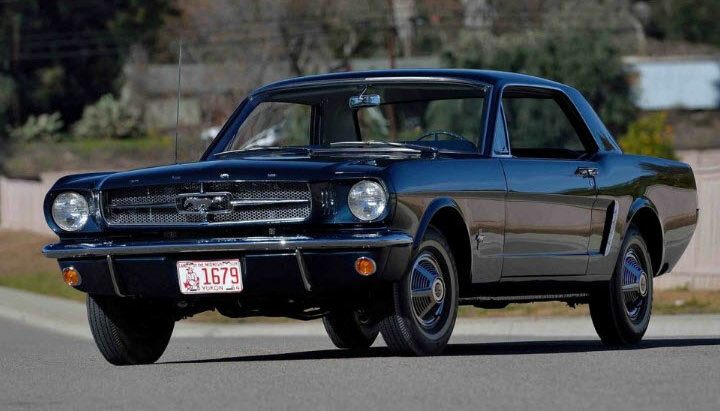 The 12th S-coded Mustang (5S08F100012) was shipped to Ford's Dearborn Assembly Plant in early 1964 and assigned the VIN 5F08F10001. It is currently displayed at the Henry Ford Museum. The 15th S-Coded VIN (5S08F100015) was shipped to Ford's Dearborn Assembly Plant in early 1964 and assigned the VIN 5F08F10002. 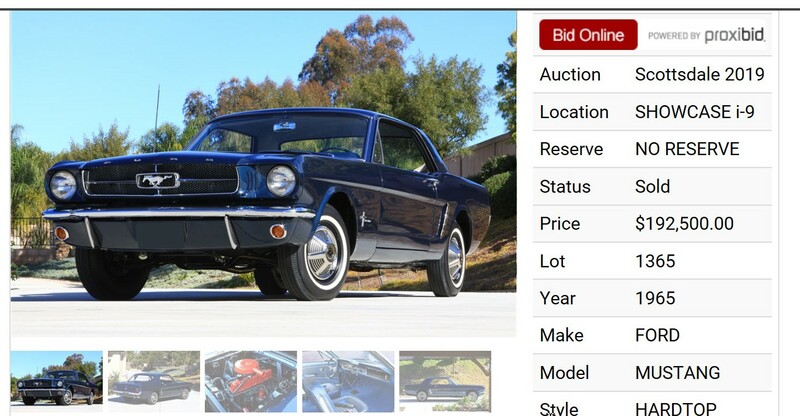 The car is owned by Bob Fria and will be up for sale at Barrett-Jackson Auction to be held in Scottsdale, Arizona in January 2019. This unique Mustang was originally offered in May 2017 at Mecum Auctions. Ted, hope all is well! No, I am “Tuckered” out! Howard,all is well and I guess you’re running out of room for any more cars at the Waterfront too. Cars are like t-shirts. You can’t have too many!